I am excited to share this jewelry launch cake with all of you. It was certainly a challenge to come up with a cohesive design for this cake. I was given free reign of design and told that the cake needed to display the jewelry. I didn't want to do a classic jewelry box because after researching the inspiration for the jewelry I didn't feel like a jewelry box would fit. 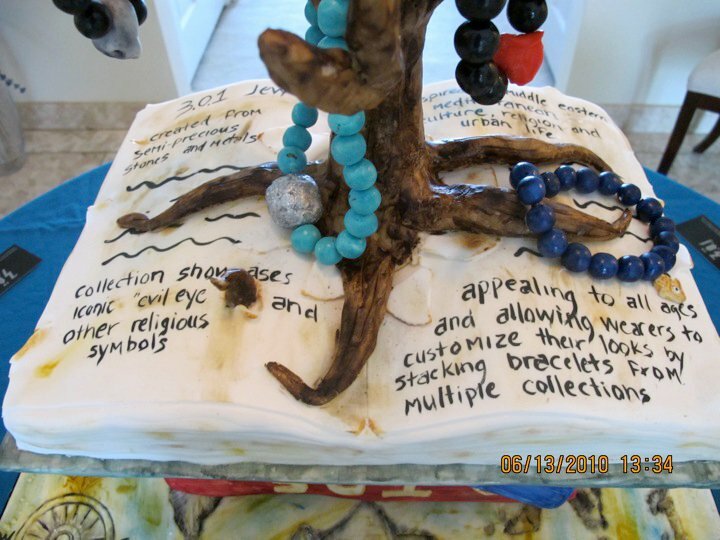 The designers website says the jewelry is "inspired by Middle Eastern and Mediterranean culture, religion, and urban life, the collection showcases the iconic "evil eye" and other religious symbols.﻿"
When I began do design this cake for some reason the image of the jewelry hanging off a tree kept popping into my mind, so I went with it. I also wanted to tie in the designer’s Middle Eastern culture and give the cake a Mediterranean feel. So I decided to make the cake board an old looking map of the Mediterranean, from there I stacked up old looking books with 3.0.1 written on the binding. The top book I left open and had a tree growing up through the pages of the book. On the open book I wrote quotes from the website describing the jewelry. The tree was made out of modeling chocolate﻿ that was molded around a support system and painted to look old and weathered. For the jewelry I tried to pick different pieces from the collection that I thought summed up the inspiration for the line.﻿﻿ The jewelry was made out of rolled fondant that I strung through a piece of fishing line so that the pieces moved like the real jewelry. 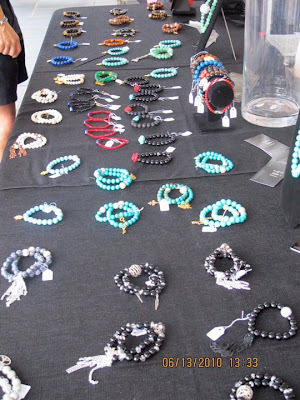 I then sprayed each piece with confectioners glaze so that it was shiny like the real jewelry. 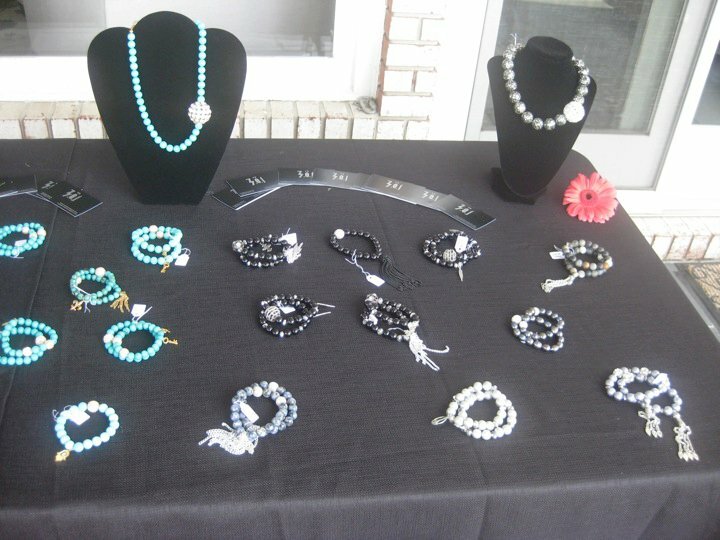 I love the way the jewelry turned out! It looked just like the real thing. 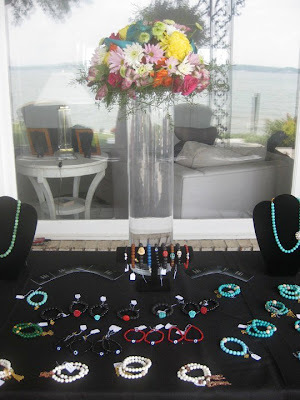 Here is the spread of the real jewelry at the party. I think I ﻿matched the collection well. When the designer saw the cake she said that at her next show she was going to display her jewelry on trees because she like the idea so much! I would call that a successful cake! I hope you liked this cake and party! Let me know what you think.